Sometimes children need certain aids and equipment to help them with their balance, posture or position and to promote their independence. The use of aids and equipment can support a children’s ability to participate in daily activities including mealtimes, self care tasks, play and learning, and make it easier to do things like drink from a cup, use a spoon, or independently move from one place to another during play. organise trials of different types of equipment to help determine the most appropriate device for the child, while keeping in mind the needs of the child and their family. 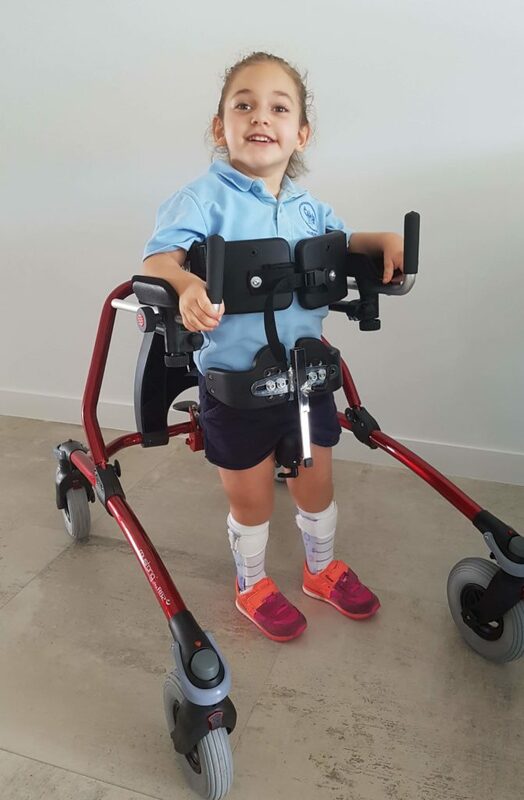 to apply for funding for needed equipment through the NDIS. EarlyEd therapists maintain up-to-date knowledge of current best practice and available equipment by regularly attending professional development courses, industry conferences and expos. Sometimes children need specialized equipment or modifications to move around, sit in the classroom or to access the school playground. It could be modification to the school environment such as modifying the toilets, taps or the height of desks is required. EarlyEd’s team of Therapists are experienced in liaising with schools to discuss the goal of the equipment, organize trials, and write support letters to the Department of Education and Training (DEC) regarding equipment or modifications to the physical environment. Children with Special needs may require adaptations to their homes for them to access the bathroom or sometimes even to get their wheelchair or equipment into the home. EarlyEd offers advice regarding the various types of modifications that could be made so that the child can access their home. Home modifications can also reduce the chances of injury to the parent or caregiver by reducing the need to lift the child in order for the child to access the bathroom or move from one room to another. Occupational therapists play a big role in enhancing children’s independence, self-care and social skills. Learn about how physiotherapy can help your child’s development.